Better ways to apply the huge volumes of data being generated and new pathways to encourage and support international research collaboration were among the obstacles to overcome and plans for the future discussed during workshops between scientists, technologists and policymakers today. 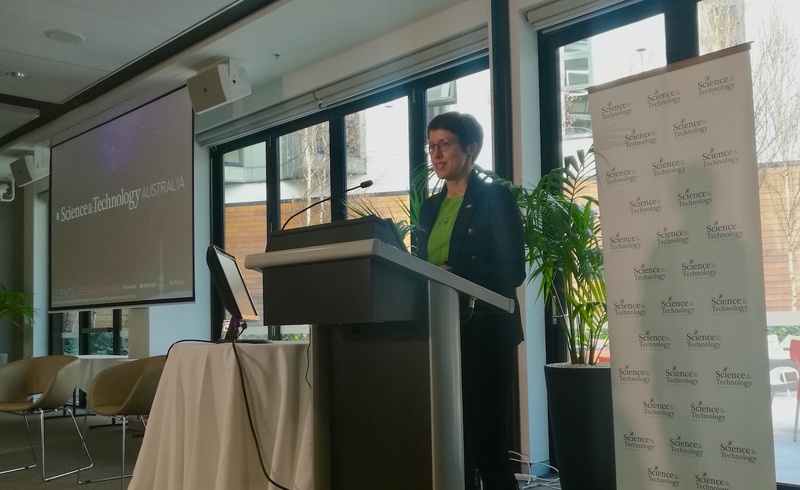 STEM professionals and government policymakers came together in Canberra to craft tangible outcomes and conclusions drawing on their research, evidence and their collective experiences in science, technology and policy. Pathways to support for commercialisation and private sector R&D are not communicated clearly, and if improved, will encourage innovation. Data should be embedded in education, and we need to find ways to have students using and understanding data from a young age. Kylie Walker, CEO of Science & Technology Australia, said the outcomes were a profound step towards forging a more meaningful and lasting place for science and technology to inform decisions made by government. “Its not often that scientists and technologists get the chance to sit in front of a policy maker, particularly those who aren’t based in the nation’s capital,” Kylie said. Kylie acknowledged the vital contributions by the workshop Issue Leaders, Dr Charlie Day from the Office of Innovation and Science Australia, and Matt Cahill from the Department of Environment and Energy.